In Cambridge, Hall is a place but also a big part of daily life. 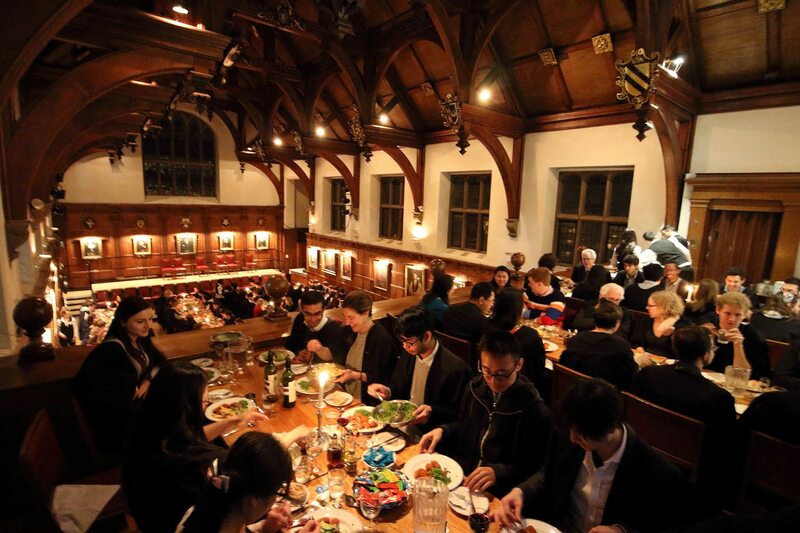 Eating together is considered very important at Caius, and our beautiful dining hall with its stained glass and many portraits is at the centre of our dining experience. At lunchtime, Hall is a self-service cafeteria serving well-priced and filling hot food and fresh salads. In the evening, Caius offers two hall sittings six nights a week, giving you a choice of time and experience. At 6pm, First Hall offers a freshly-prepared three course meal served swiftly so you can make the most of other evening commitments, while Second, or Formal, Hall, at 7.20pm offers the same food but a longer sitting. Students wear gowns for Second Hall (though there's no other dress code and it's up to you what you wear underneath! ), and Fellows eat on High Table at the same time. It's entirely up to you which option you choose: it's all about personal preference and whatever else you may be doing during the evening. 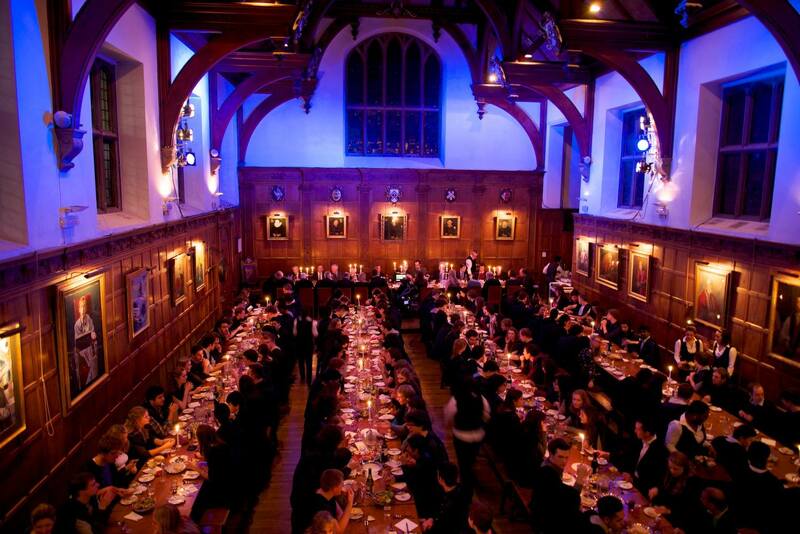 Hall is also the scene of big College feasts and, usually twice a term, of "Superhalls" - special formal dinners organised by and for the students, sometimes with a theme such as Burns Night. 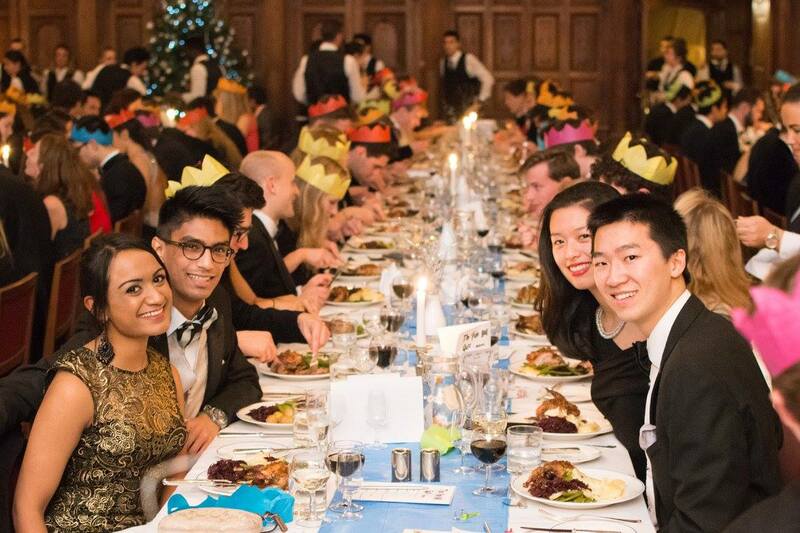 However and whenever you eat in Hall, the memory of this shared experience eating with friends is likely to become one of your favourite memories of Caius.